Impress/ Channel binding is the quickest and easiest binding system available anywhere and creates a professional look with a hard cover finish. Ideal for presentations and reports that need to look the part. 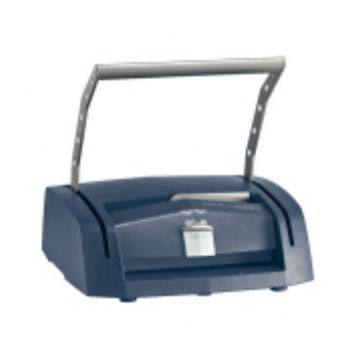 Simple use and ability to bind up to 280 pages the ImpressBind range is the ideal solution for offices, schools etc. Contact us for more details. 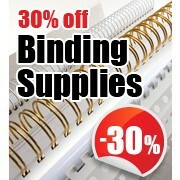 This de binder is a very useful addition to the Impress bind 280 binding system. It allows you to re bind documents up to 3 times. The Impress bind 140 is the entry level manual binding for up to 140 sheets of 80gsm A4 paper. It is a very robust binding system and requires no special skills at all to produce professionally bound documents in 15 seconds or less. Just insert the paper in to the cover and pull the lever down 4 times for fast hassle free document binding. The Impress bind 140 can be easily stored horizontally or vertically so it takes up minimal space in your office. 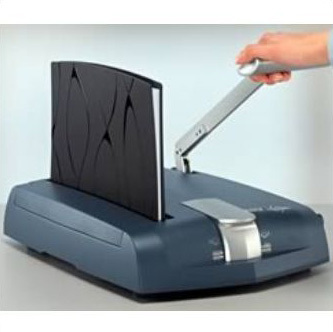 Spine sizes range from 3.5mm rite up to 14mm making the impress bind 140 the perfect partner for binding those documents that require a cas bound professional finish. Documents can be bound and un bound up to 3 times using the impress 140 de binder so binding errors or updates can easily be corrected. Binding store offer a full range of covers including A3, A4 and A5 in landscape and portrate. With impressBIND anyone can achieve the perfect results in just a few steps. The extensive selection of covers and variety of materials enable you to be individual. It’s easy to use – no complicated processes to learn. With impressBIND you’ll be an experienced binder in minutes. The Impress bind 280 is a manual binding for up to 280 sheets of 80gsm A4 paper. It is a very robust binding system and requires no special skills at all to produce professionally bound documents in 15 seconds or less. 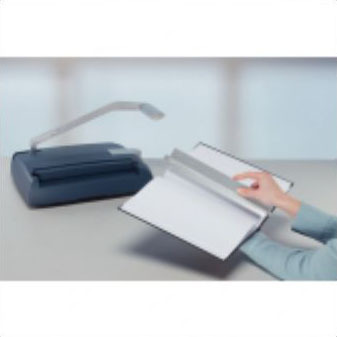 Just insert the paper in to the cover and pull the lever down 1 or two times for fast hassle free document binding. The Impress bind 280 can be easily stored horizontally or vertically so it takes up minimal space in your office. 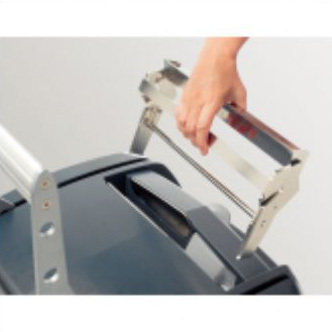 Spine sizes range from 3.5mm rite up to 28mm making the impress bind 280 a really versatile binding system. Documents can be bound and un bound up to 3 times using the impress 280 de binder so binding errors or updates can easily be corrected.